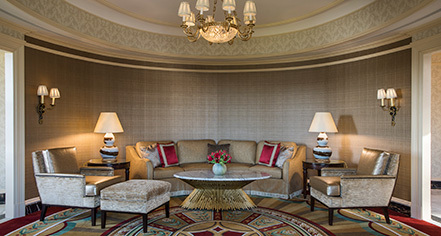 The Willard InterContinental is the first choice of discerning travelers for exceptional accommodations. Elegant and spacious guestrooms and suites tastefully combine the classic and the contemporary. Comfortable furnishings and timeless style unite with leading-edge technology to create the ideal luxury hotel for today’s busy and connected travelers. 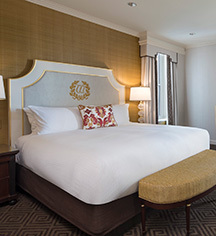 Guestrooms feature views of Pennsylvania Avenue, many of the capital’s landmarks, and downtown Washington, DC. The timeless standard in Washington, DC for more than a century, The Willard is a true beacon of style.